Guard your privacy and data from Mass Surveillance. (EXE,JAR,RAR included). 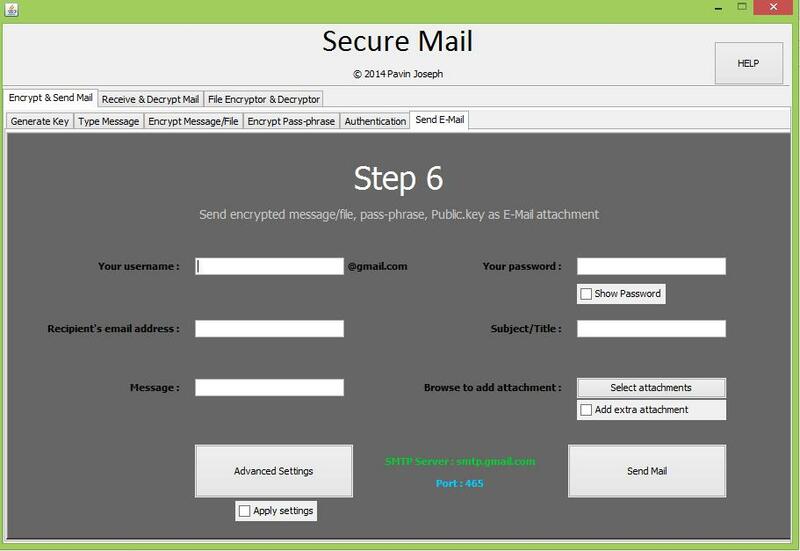 Secure Mail is an email/file encryption/decryption software. 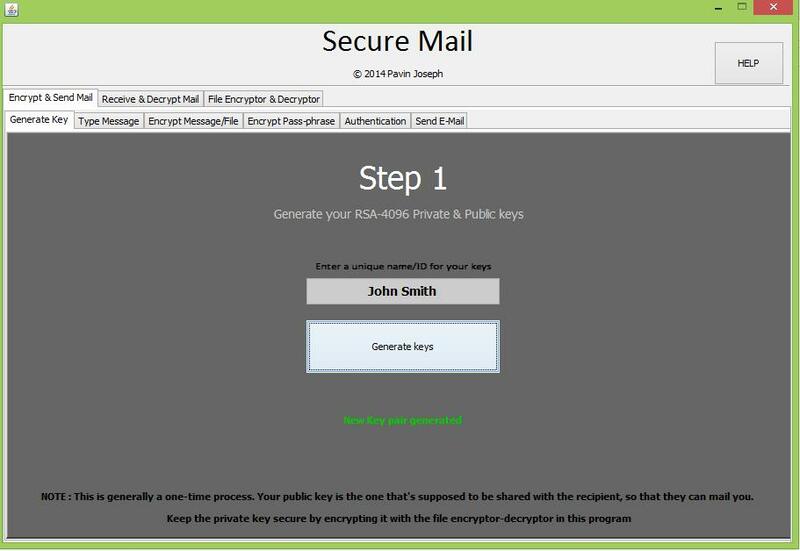 It uses RSA-4096 bit asymmetric encryption coupled with AES-128 bit symmetric encryption. 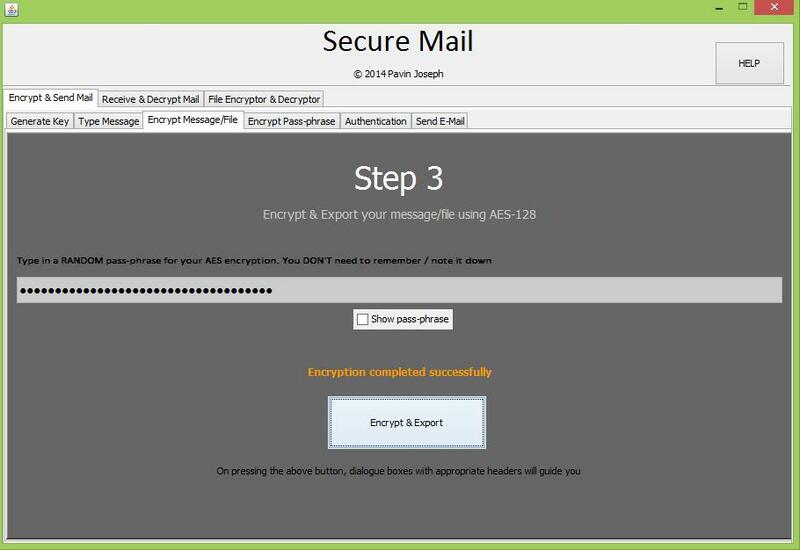 Any and all data leaving the app and through the internet is completely encrypted as well as the data at rest, at both the inbound and outbound server of your email provider. 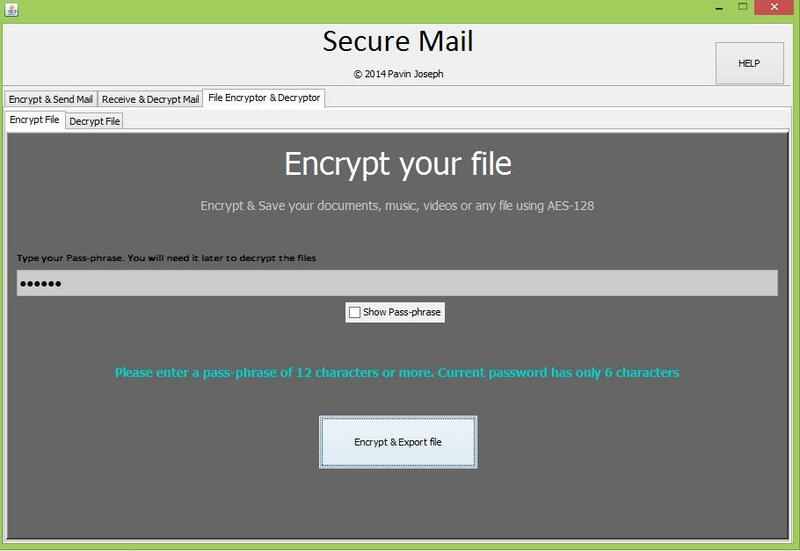 The app also features an independent file encryption - decryption mode. 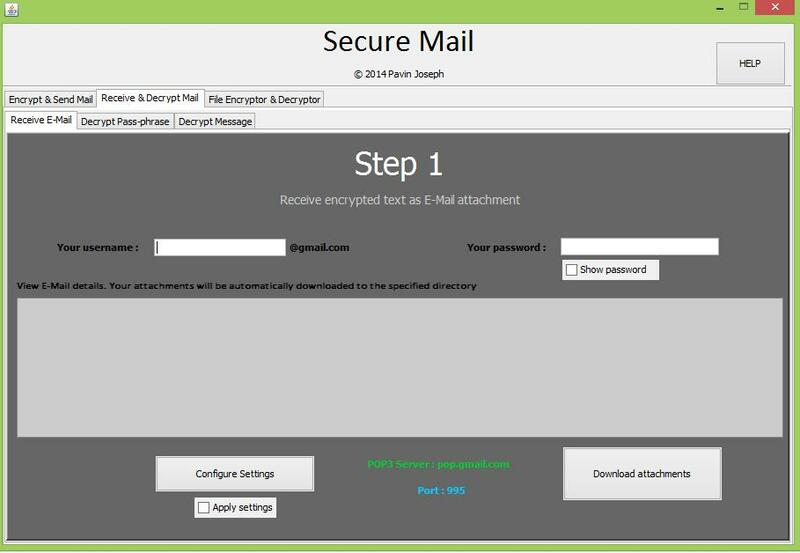 The program is a breeze to use once you get used to the idea of encrypted emails. The app even has features such as SHA-1 checksum calculator and audio recorder to authenticate while sending your Public RSA key. 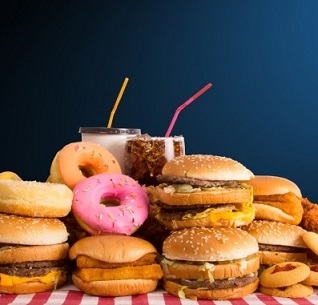 2,320 5,048 PavinJoseph <img src="http://www.oldergeeks.com/downloads/gallery/thumbs/Capture3jpg_th.png"border="0"> Jan 10, 2018 - 12:19 1.0 787.4KB EXE , out of 11 Votes.